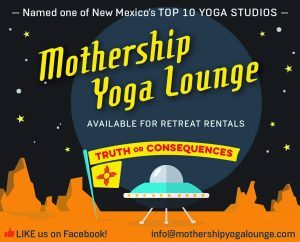 Mothership Yoga Lounge & Hot Springs is a private retreat center in Truth or Consequences, New Mexico. Featuring a renovated 1930’s adobe church (now a yoga studio named one of the Top 10 in NM); an historic hacienda-style bathhouse with our spectacular crystal waterfall tub; and comfortable lodging with private soaking, this is a perfect place to relax and rejuvenate. 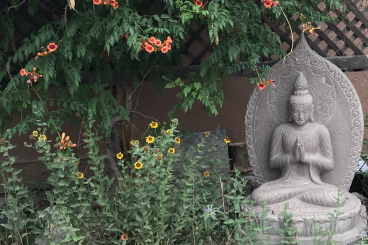 Just a short walking distance from the art galleries, coffee shops and restaurants this charming high-desert downtown has to offer, the Mothership is ideal for a memorable yoga retreat, corporate wellness weekend, girls gathering or individual getaway. 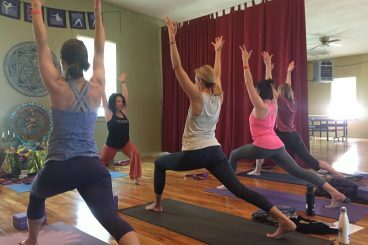 If you love hot springs, yoga and off-the-beaten-path experiences, come check us out.